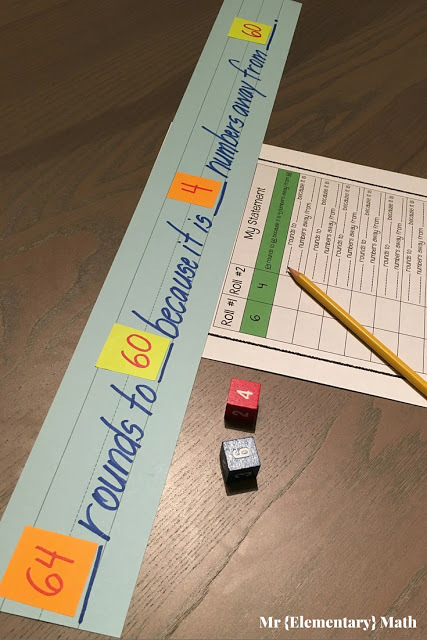 Are you looking for rounding games and activities that will help your students master this tricky skill? I’ve got the solution. And it has to do with number lines. Why is Rounding So Important? 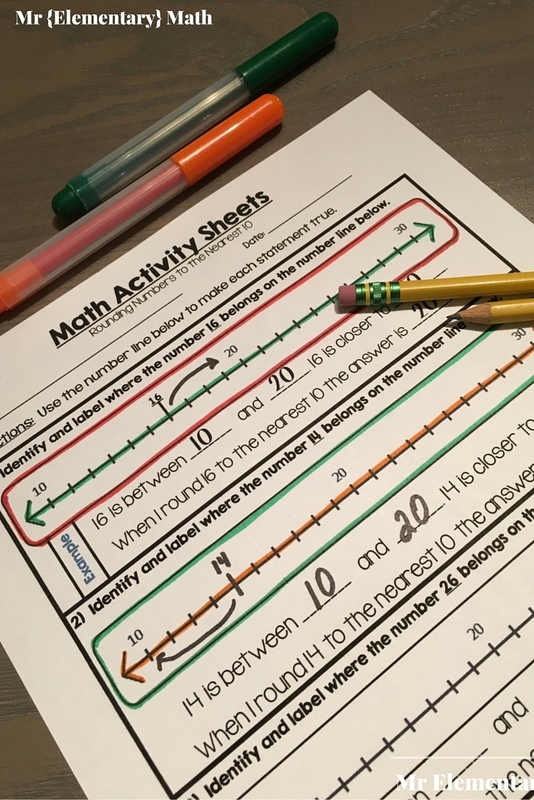 If you live in a state that uses math common core standards (3.NBT.1) or some variation, students are expected to know how to round whole numbers to the nearest 10 and 100, by the end of 3rd grade. Even though rounding is a standard, I often feel like rounding is a “stepchild” math concept. Sometimes we like to focus on the major players (ex. addition, subtraction, multiplication, division), and this very important skill gets put on the back burner. I have been guilty too! 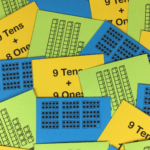 When students have a good grasp of rounding, they are capable of making reasonable estimates. Rounding and estimating are very useful in real life situations. We use them to see if we have enough money when shopping or when trying to get somewhere on time. Over the years I used different strategies to teach rounding. For example, I used the saying, “Five or higher add one more. Four or less let it rest.” I really enjoyed using that as a technique to round but then realized that my students really did not understand when or how to apply it. After some research, I realized the importance of teaching rounding in a conceptual way. Great question! 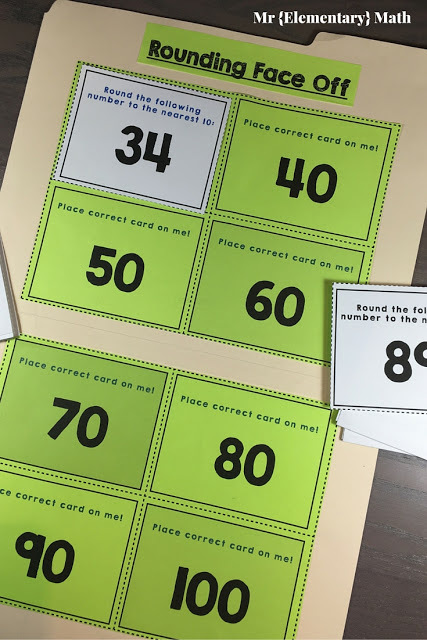 There are many ways to teach rounding in a conceptual manner. You can use interactive number lines, engaging games, open-ended questions, and provide ample time for independent practice. Read below for more details. Have your students build an interactive number line from 0 – 100. First, color in the multiples of 10. Next have students work together to color code the numbers (ex. color stickers) that round to each multiple of 10. Use the photo below as a model. This helps create a clear visual and serves as an interactive model for students. 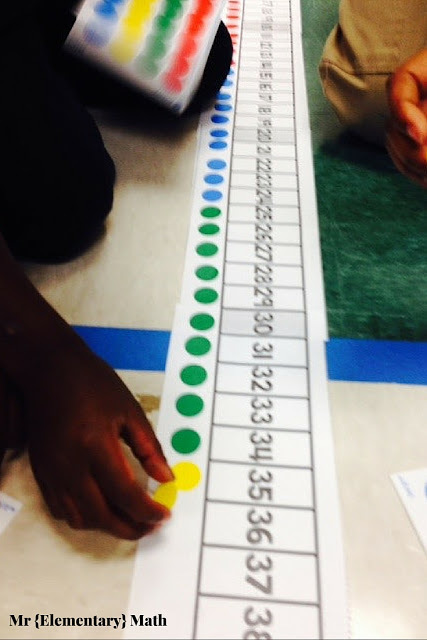 I found that using different colored sticker dots is an easy way for students to color code an enlarged number line. However, if you don’t have stickers you can just draw your own dots with crayons or markers. 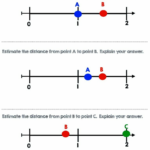 Using the number line, students will determine where numbers 0 through 100 round. 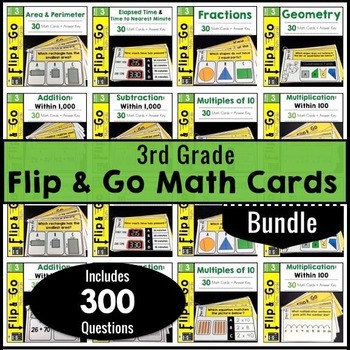 This is a great hands-on activity for whole group or small groups! It is also a good idea to have students go all the way through the number line and record their findings. See photo below. 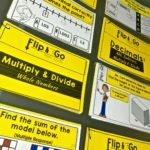 If you follow my blog then you know by now that I love using games to teach math concepts. Games are a great way to keep students engaged and promote learning at the same time. 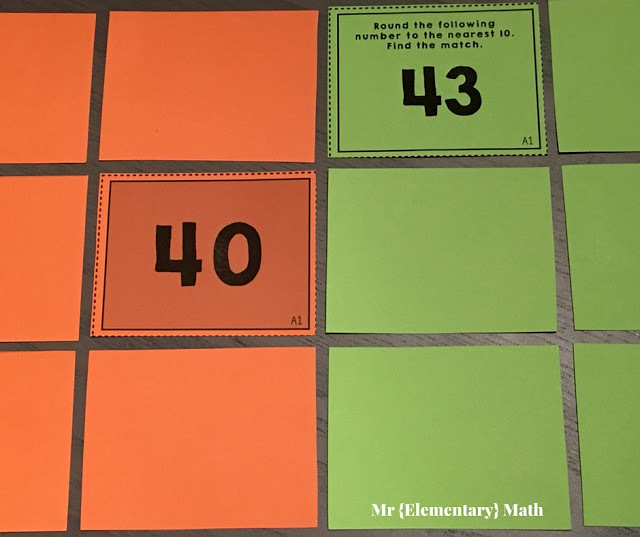 I choose two games that my kids loved to play and made 2 versions of each (Rounding to the nearest 10, Rounding to the nearest 100). The first game is Rounding Face Off. Students play against each other by simultaneously drawing a card from their separate piles and quickly matching it to a game board. The player that makes the first correct match wins the round. The second game is Rounding Concentration. Students play against each other by taking turns flipping game cards to find a match. The player with the most matching pairs at the end wins. not. More importantly, I can see if there are any misconceptions. Is the following true or false? How do you know? In this activity, students must use an open number line to solve the problem, but they also have to write a written explanation to explain their thinking. Provide activities where your students have to use critical thinking skills to solve a problem. 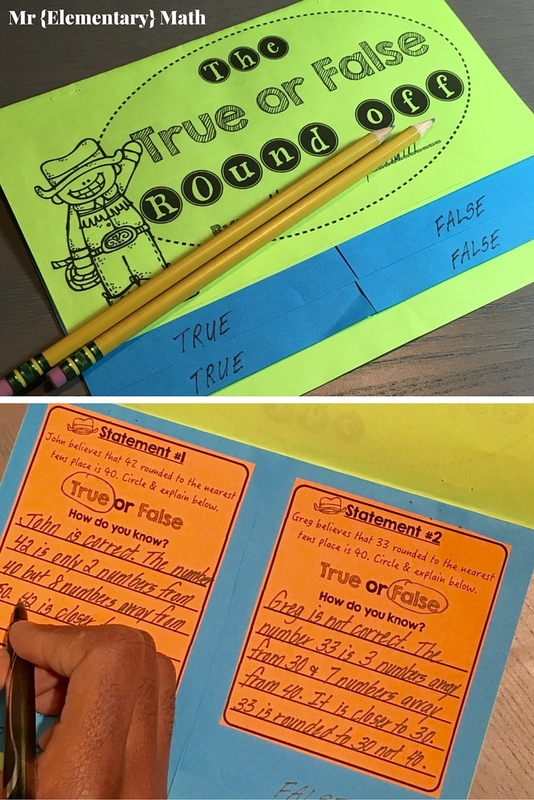 In this activity pictured below, students must prove if a rounding statement is true or false. And they must explain how they know. After you have taught rounding, this could be a nice whole group task or even something that you could push out into small groups. Students need lots and lots of practice! Practice should include different ways to solve problems. I like to use different models and question types so that students can visualize and explain their thinking in a variety of ways. 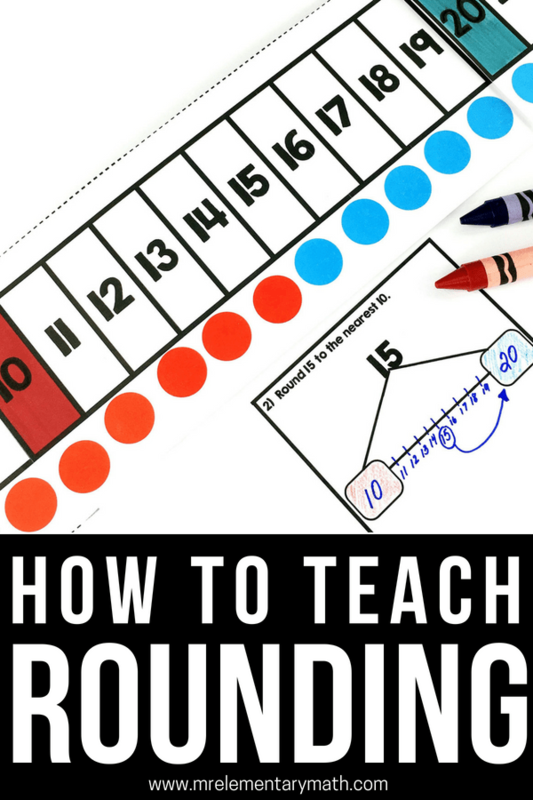 When you are teaching rounding, it is also important to give problems that include 2 and 3 digit numbers that round to the nearest 10 or 100. Here are some examples of the different question types that are included in this activity packet. Scaffold teaching the concept of rounding by using a number line and sentence frame. Students practice with a partner by rolling number cubes to get a random number and then use a sentence frame to help them explain their answers. Next, they can practice independently with worksheets. 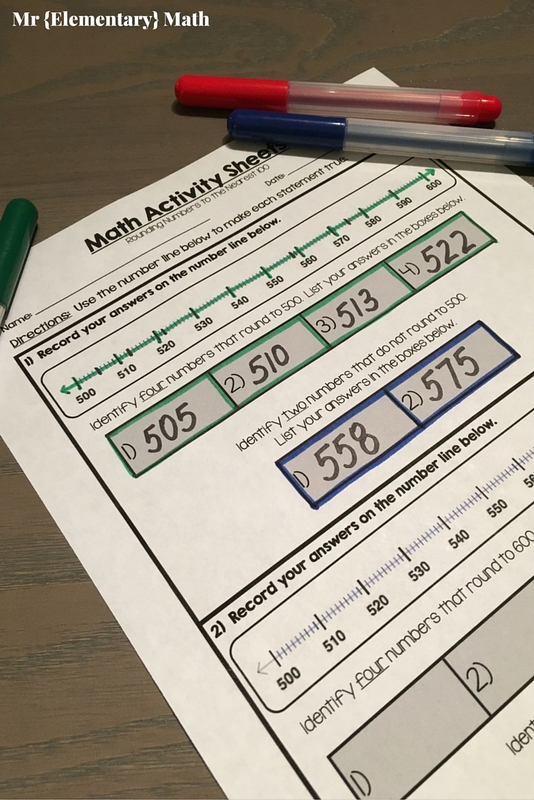 Incorporate a high-yield teaching strategy, similarities, and differences, by having students find examples and non-examples that round to a specific number. 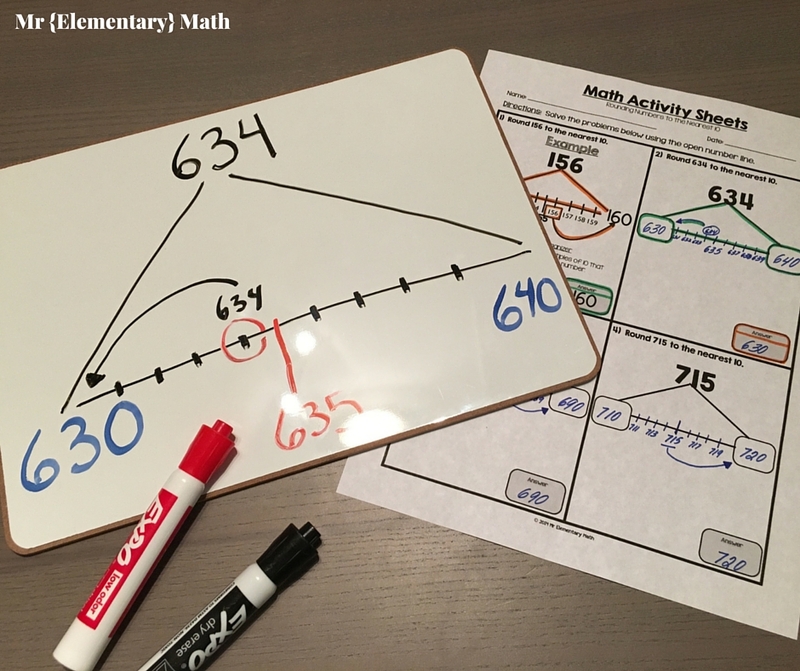 Use models or open number lines to challenge students, and see their thought process. 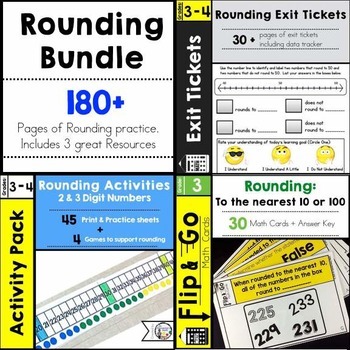 If you would like the activities used in this blog post, you can find them in my Rounding Bundle, along with task cards for review AND exit tickets for assessment. 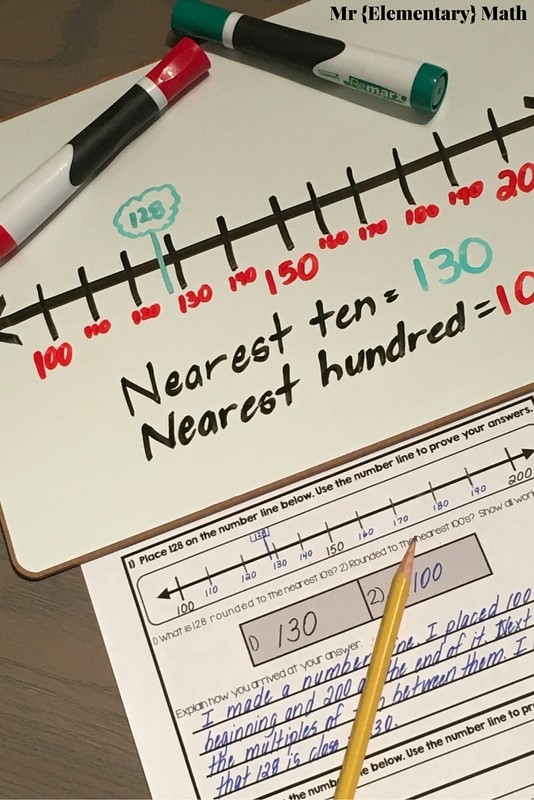 Be sure to share ideas on how you teach rounding in your classroom (in the comments below). I love this hands on concept that steps away from the 5 or more… I teach 5th grade and some children really struggle with this concept. In addition we teach to the thousandths, do you have any material that includes decimals for this estimation strategy? Thank you for sharing all above. Love it! Hi Greg, I am a national math consultant and heard about your blog from a colleague. I love your rounding activities! I get asked all the time about rounding and estimating, and very often hear "to save time I tell my students they don't need to estimate their answer." You and I are on the same page, the most important life skill we take away from computation is estimation. As elementary teachers, we don't give this skill the justice it deserves. Would you mind if I share some of your activities with teachers in my presentations? I will give you full credit and recommend your blog as a resource for them to check out for other concepts as well. Thank you for sharing!! Thank you for taking out the time to comment Kristin. Absolutely! It is very important for students to understand this skill and apply it to real life and not see it as an isolated procedure. I'm a 3rd grade math coach and my students struggled with rounding this school year. 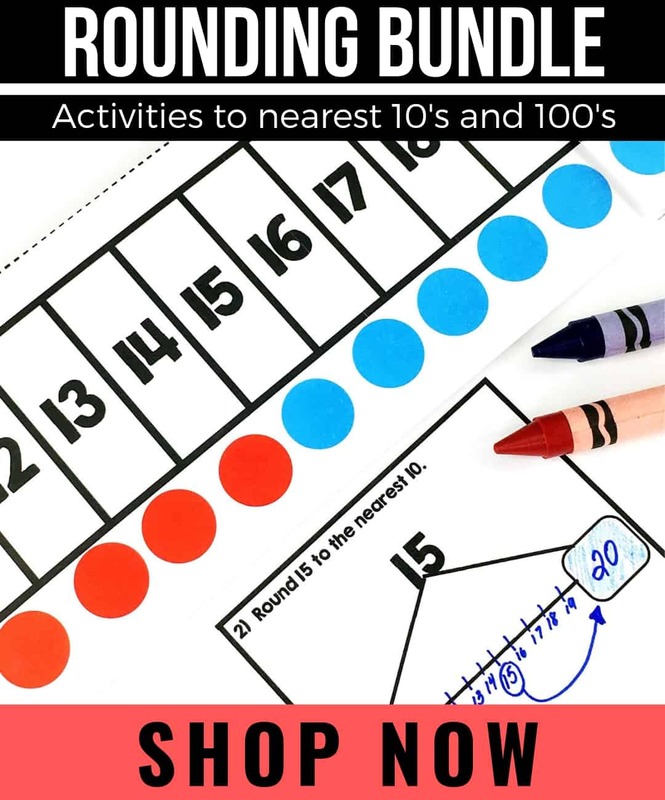 I will be using these activities to teach rounding next year. Thanks for sharing. 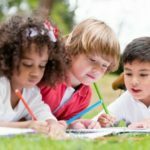 Hello, I am currently going to school to be an early childhood teacher and there are many things about this post that reiterate what is important in teaching math to students. First off I am glad to see that you take time to reflect on how students are learning and adjust material according to how students are doing. I have learned over my years in school that it is important to always reflect on our teaching and not be afraid to change things if need be. The number line activity is something I see myself using in my classroom in the future. This is a great visual representation of what we want students to know about rounding. By having them actually do it, and write it out after you are reaching all of the learners in the room. When students can manipulate the numbers themselves it gives them a much better understanding of what is being taught. I am sure this activity gave many students that ah-ha moment we all look or as teachers. The games are also a great idea. From the classroom I have been working in this semester I have really seen how engaged they are in their own learning. The best part about playing games like this with students is it is a very easy time to gauge if students understand the concepts. Best of all though students are learning how to round without even realizing they are learning! I agree that it is important to ask students open ended questions because it makes them use a higher level of thinking and helps as a teacher to see their understanding. Thank you for the great blog posts and insights into possible math activities. I will be subscribing and look forward into reading more! Hello, I am currently attending college to become a teacher as well. Math as been one of my favorite subjects ever since I was a child. Math came easy to me. I did not struggle to learn the math concepts but after having experience observing in several classrooms, I have come to the realization that many students are struggling. 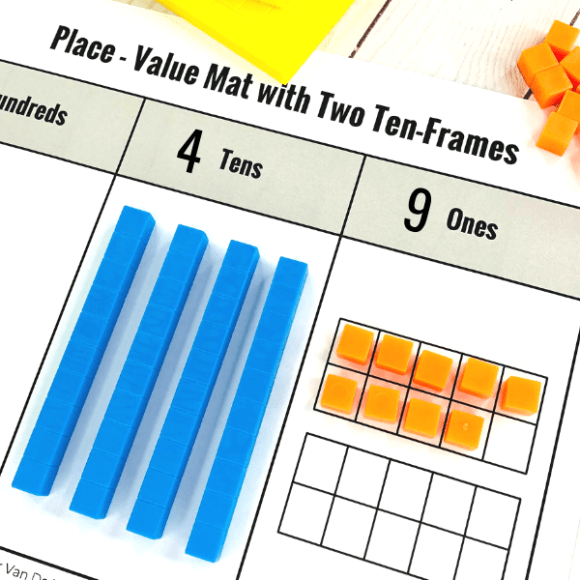 This blog post has many great ideas that are aligned with what we are currently learning in our elementary math methods course. I plan to use these strategies within my classroom especially as a way to attempt to bridge the gap in math understandings among children. I never thought about how rounding allows the students to reasonably estimate. Making math relative to the students lives are important. I agree with your ideas that multiple strategies should be used to provide the students with ways to learn the material. I really like the idea of providing the students with open ended questions. This allows the students to think through the problem while the teacher is assisting the students with learning the concept. Thank you for this blog post. It has helped me immensely with my thoughts about being an educator especially when teaching math to my students. 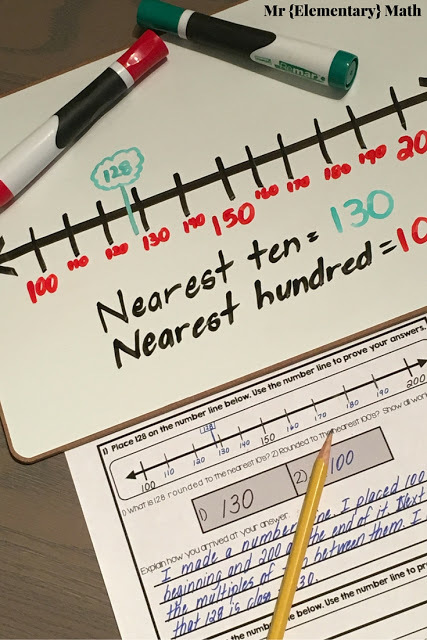 I am all about teaching rounding with a number line- in my opinion, there is no other way! I had not thought about color coding the decade numbers and the corresponding numbers that would round to that decade. Thank you for improving my math practice! Hi, thanks for the great tutorial. By the way, what tools did you use to compose this blog? The fonts and coloring are very nice…!!! Thanks for the useful tips and resources! Hi! I am an aspiring elementary teacher and I really enjoyed this post for several reasons. I believe it applies to what I am currently learning in my math methods courses, as well as many ideas I would like to utilize in my future classroom. In the aspect of rounding and estimation, I really liked where you talked about relating instruction to real life situations. I believe allowing students to attach meaning to the content being taught is a really important aspect when planning instruction. I also believe in providing students with engaging visuals and activities. 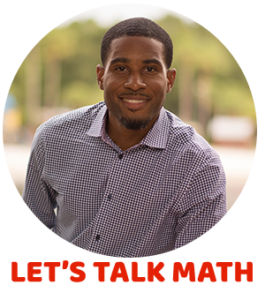 A mnemonic device can be very beneficial in a lot of areas, but when it comes to math – I believe it's most important to understand the what, how, and why. I also believe in asking open-ended questions. In my current courses, we refer to these as the "essential questions" of a lesson plan. 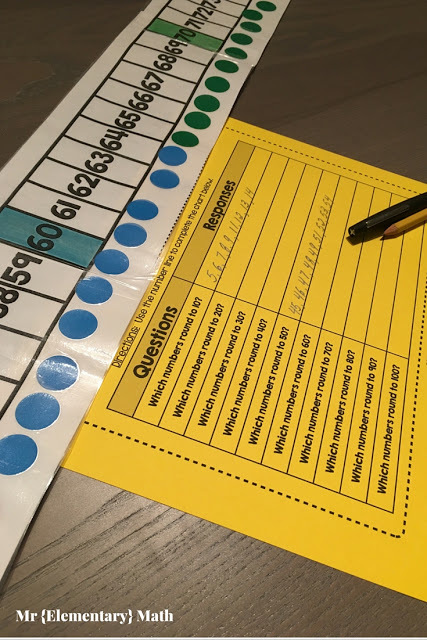 To really gain an understanding of a student's comprehension, we must provide students with an opportunity to think and answer questions that require more than a "yes," "no," or an answer that can be said within a couple words. I also appreciate what you mentioned about independent practice. I believe it's essential to provide students with many means of getting an answer. I believe that each student is capable of learning the information, although students will get to the destination using different roads. Which, as educators, I believe we should embrace! Thank you for your post. I will be subscribing and hoping for more mathematical insights!